This post was first shared on the ESADE Business School’s blog. This article advocates an evolutionary process to financing your business. 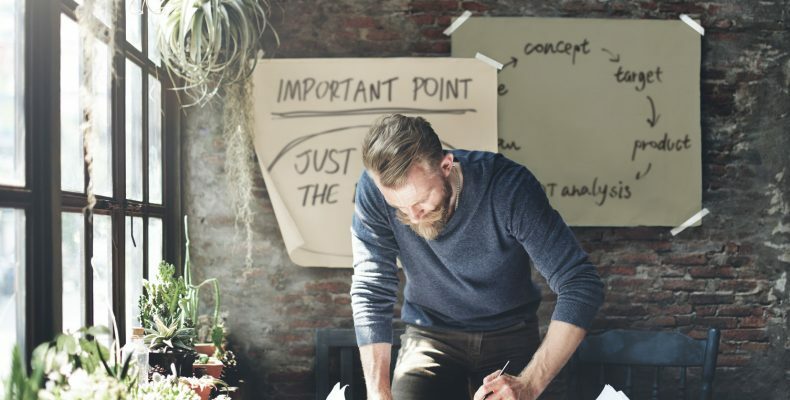 It all comes down to the fact that every business idea is based on some very fundamental assumptions such as “customers are going to love the product,” “suppliers will be happy to support me” or “my business is scalable beyond belief”. Those assumptions require real-life validation, proof that these assumptions are correct. Let’s look at this based on the example of a fictitious social business selling innovative handicraft products, manufactured by people with disabilities. The first step to launch the business is usually to build support among family and closest friends. Try to convince your friends about the idea and they will be the most honest challengers, pointing you to weak spots. Also look for co-founders who can complement your skills and support you when things get rough: Someone who understands how to work with people with disabilities, someone who knows how to sell handicraft products or someone who is crazy about analyzing sales and expenses. At this stage, you also want to set up pitch presentations, your general business plan and financial forecasts, which requires research and market analysis. Goal: Prove that you can get people excited about your idea and get them to buy into it. Who Can Help: People from your network, friends, family. After you have ramped up a team, you will want to get hands-on experience on how your idea plays in the market and find out if your social impact actually does manifest. Start working with one or two people with disabilities to create a basic product that you can sell on a flea market or to a local shop. Check if people are actually willing to pay for it. Also validate whether the people you are working with actually appreciate your efforts: Do people with disabilities want to produce handicraft products, do they benefit from a stable income, do they need training or personal coaching? This approach of validating by doing is called prototyping or minimum viable product (MVP) in the tech world, or pilot in other environments, but no matter how you name it, it comes down to a reality check on your first major assumptions and actually trying it out for the first time. Goal: Validate your assumptions (= proof of concept) and get first-hand experiences. Who Can Help: You yourself through bootstrapping (keeping your day job and using your own funds) or the famous triple-F (Friends, Fools and Family; “fools” meaning people who trust you more than the business idea since it only exists on paper). After having tested first versions of your product, your product eventually becomes ready and sellable to a wider audience. You have gotten great feedback and insights from customers in the local shop and on the flea market. You have outsold your stock in no time; your staff of people with disabilities really feels a sense of meaning through producing innovative products and you made sure that you can partner with foundations and other NGOs to scale your social impact. Now, you need to launch full-scale operations and make your first hires. This is the first time that requires serious capital injections, but by having proved that your assumptions do reflect reality, you’ll have access to many more financing options. You should rework your business plans to reflect your lessons learned, and get a clear idea about how much funding you need and how you are going to spend it. In this phase, a good pitch is critical so check out Guy Kawasaki’s blog for a great structure on an executive summary. Funds Required: At least enough cash to cover your expenses for about 12-18 months. Grants: Even though competitive and hard to get, obviously the cheapest form of external financing. Angel investments: Affluent individuals that believe in your idea. While very common in traditional sectors, few angels engage in social entrepreneurship. For starters, ClearlySo started the first angel network in the UK. Crowdfunding: Crowdfunding will be a viable source of financing after you have a sellable product. The crowd will be less business-oriented and will care more about a good product than a viable business plan. If you are targeting a zero-interest loan, check out KIVA.org. If you think your product can excite a wider audience, maybeindiegogo.com would be the best address for you. Social Venture Finance: Impact investors like Acumen, Invest for Children in Spain, Den Sociale Kapitalfond in Denmark, LGT in Liechtenstein, Social Venture Fundin Germany and across the world, UnLtd or Impact Ventures UK by Big Society Capital in the UK or Yunus Social Business in various developing countries invest at this stage by providing patient capital. Caveat: This is where things can—but don’t necessarily need to—get tricky as forms and mechanics of investments can vary (equity, debt, shareholder loans, company valuation, exit strategies, etc.). If you focus on financing too early on, it can block your view from the critical issues. The first steps towards launching a social business do not require significant funding at all. The more you can achieve without additional investors, the more impact you create without a single cent of external investments, the better you will be able to “sell” your social business during later financing rounds. So position yourself by providing early proof of concept in order to have the luxury of accepting investments instead of having the necessity to do so. Try to become the deal that everyone craves and stick to your vision of creating true and lasting impact.